The waterproof material CN2000®B has an Eka-­‐molecular sieve structure with a permeation crystalline effect. 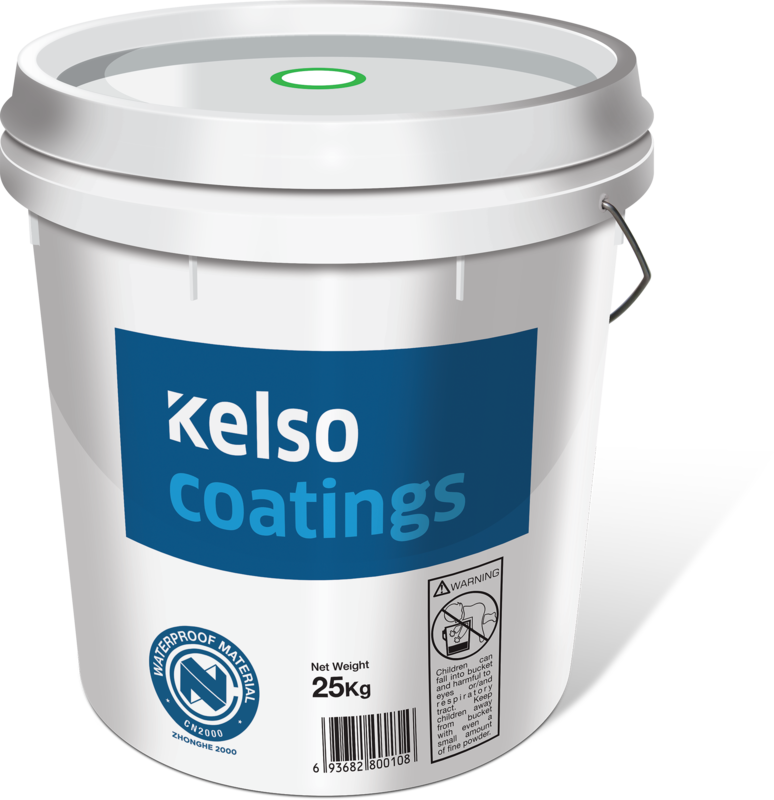 The applied waterproof layer has breathing, waterproofing and anti-­‐corrosion abilities. CN2000®B is cementitious and will firmly adhere to concrete and becomes an integral part of the structure. 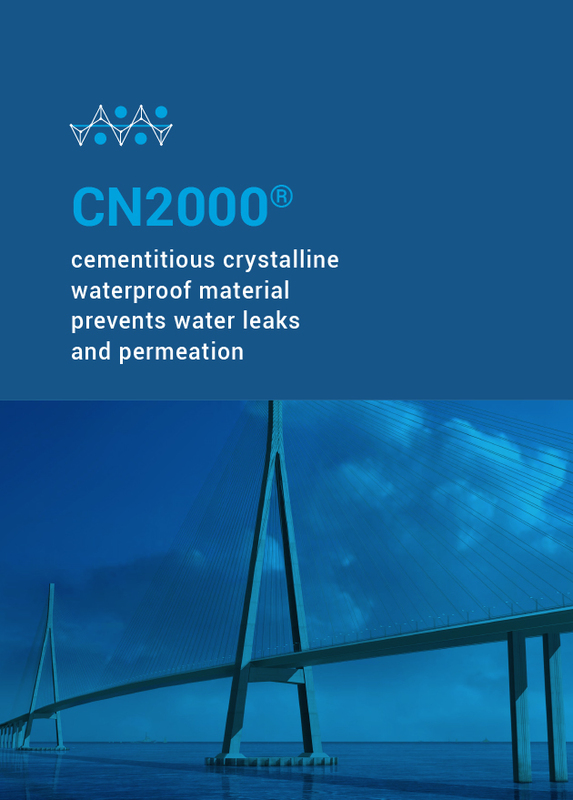 CN2000®B contains active substances and under its catalysis, hydration is promoted, and a new insoluble crystalline structure is produced, which blocks the passage of water and enhances compressive strength, bending strength, and the impervious pressure of the base structure. Also, when new cracks occur (to a width of 0.4mm), in the presence of water, the newly formed crystalline can realize self-­‐healing capabilities. CN2000®B effectively protects reinforced concrete structures from water and dissolved corrosive materials and enhances their durability. All technical performances of CN2000®B achieve or exceed national and industrial standards. CN2000®B is water‐soluble. Application is executed at normal temperatures. Use is convenient. It can be applied to all kinds of aboveground and underground projects. Coating varies with the shape of the concrete substrate surface without joints. CN2000®B can be applied by trowel, brush coating, or spray coating. CN2000®B has the capability of self‐healing. CN2000®B is non‐toxic, odorless and flavorless; it’s safe to the human body and is non‐polluting to the environment. CN2000®B is an Environmentally Friendly Product. CN2000®B increases concretes’ compressive and bending strength and has a high impervious pressure. CN2000®B has superior resistance to the effects of extreme temperature variations and is resistant to ultraviolet radiation, oxidation, and carbonation. The CN2000®B coating is thin and the application procedure is simple and quick. The next construction procedure can be initiated after 24 hours of curing. CN2000®B freeze/thaw resistance and anticorrosion ability are superior. CN2000®B can be utilized in any project exposed to water, seawater and/or soil with high salinity. When stored in a dry place between ‐30°C to 40°C, in the original packaging unopened and undamaged, the shelf life of CN2000®B is 2 years.